IA: Inspiration / Analysis. An experiment in examining the craft of art and ideas that inspire. Plus sharing beautiful things, of course! 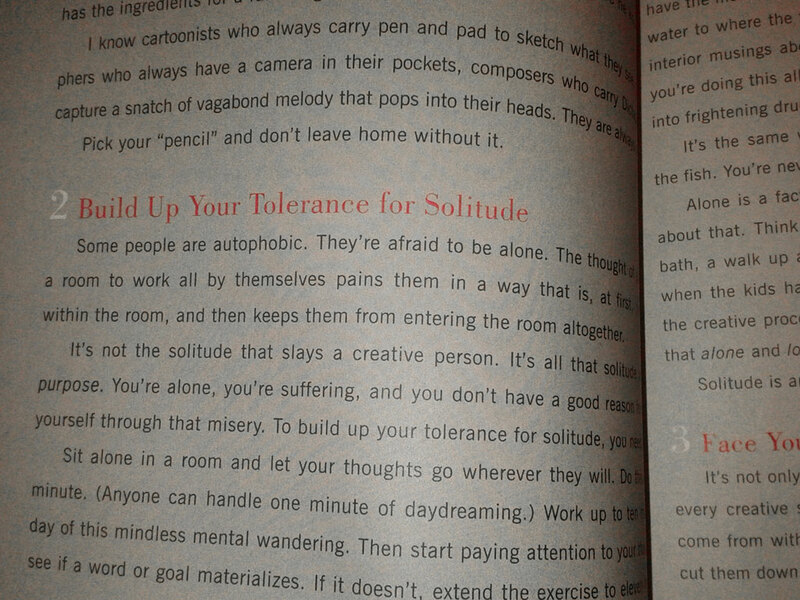 I picked up the The Creative Habit at the library earlier and have to say I love it; both for it’s content and design. First up, it’s well worth a read for anyone interested in creativity, as it addresses the oft ignored or understated part of sustained creativity: habit. The book isn’t so much about creativity itself, as it is about the habit-based scaffolding put up around a creative act, which enables one to step into it more readily. Every day. I’ve only just completed my first reading, and need to go back through to note down particularly relevant passages, as well as doing more of the exercises Tharp suggests. There are several I already suspect will become a regular part of my creative repertoire. The typeface is a Modern (probably Bodoni?) for most of the book and it does a great job of aiding the voice of the text. Modern’s seem exceedingly rare in books, especially for body text, but this works perfectly here. On top of that, this particular typeface either doesn’t have a bold, or it’d be too gaudy here, so the designer makes great use of larger font sizes and color to highlight text. 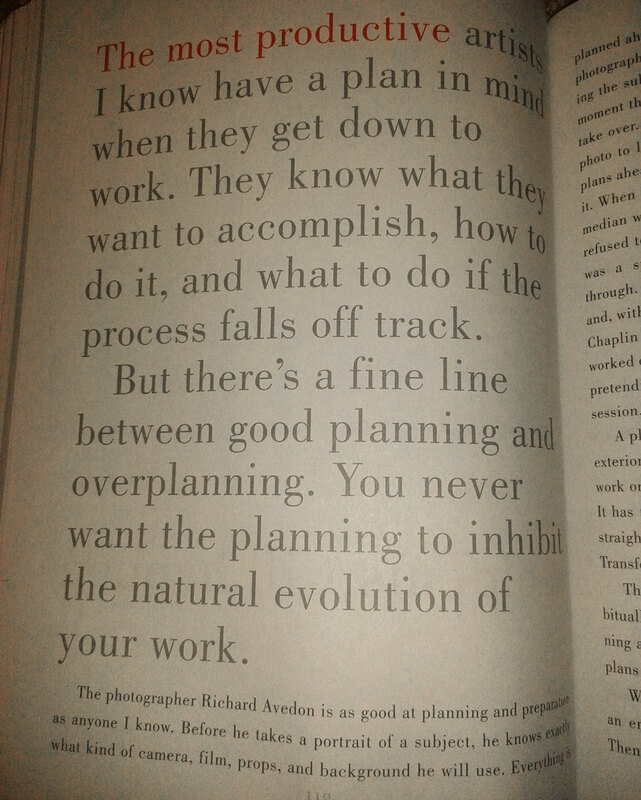 Same goes for sections that break flow from the main narrative of the book. 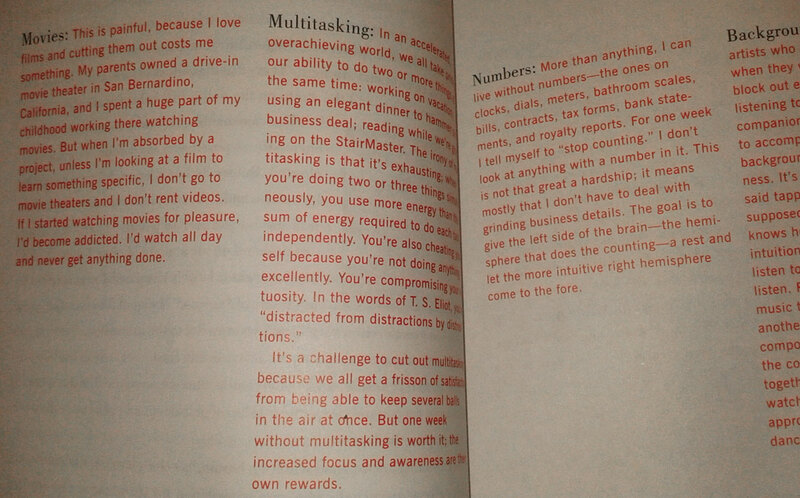 Each chapter has an exercise section which is nicely differentiated from the main text with a grey background. 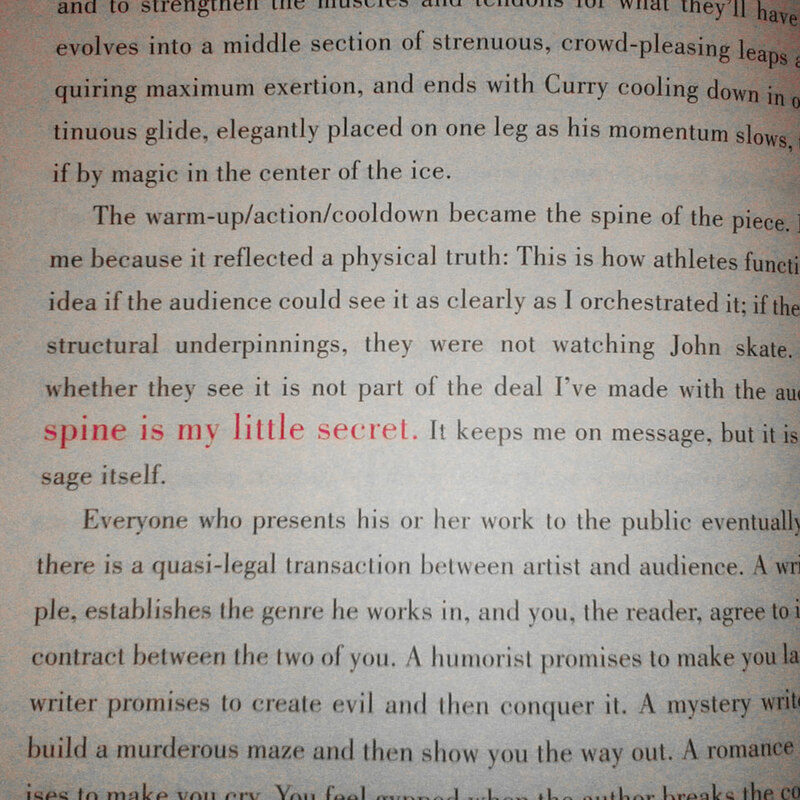 Last but certainly not least, each chapter intro is kept minimal, but makes clever use of the type’s positioning, size, and shading to make each one chapter have a unique feel. I almost never buy physical books anymore, as I can’t travel with many, but I’m seriously considering picking up a copy of The Creative Habit to refer back to—it’s beautiful and full of useful tools to keep one on the creative path.